Scott Forstall , one of Apple's most influential executives, is on his way out the door. As Hurricane Sandy battered the Northeast on Monday, a different kind of storm was brewing in Cupertino, Calif.
Apple (AAPL) shook up its management team, announcing that two of its top executives had been shown the door. Scott Forstall -- responsible for the iOS software running iPhones and iPads, and often considered an heir-in-waiting to CEO Tim Cook -- is the most prominent executive departing. He'll stick around as an advisor for the rest of this year, then leave the company, Apple said in a press release. The move is a surprise: Forstall was one of the top executives at Apple over the past decade, and his team's software fuels Apple's premiere devices. Yet Forstall was also behind Apple's Maps software, a debacle that was widely mocked on social media. The debut of Maps was so disastrous that Cook issued a public apology for the app and recommended rival applications while Apple worked on improvements-- including the Google Maps software that it replaced. Siri, the iPhone and iPad's electronic personal assistant, is also an incomplete product. The service is frequently down and remains very hit-or-miss when delivering answers. 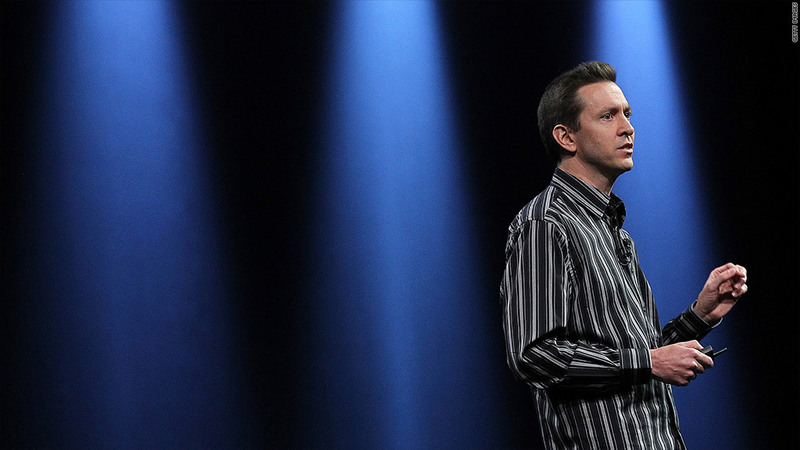 A group of Apple executives will replace Forstall, each sharing some of his responsibilities. Eddy Cue, head of Apple's iTunes and iCloud services, will take over Siri and Maps. Mac OS chief Craig Federighi will take control of iOS, uniting Apple's two operating systems into one product group. And Jony Ive, Apple's head of hardware design, will be in charge of Apple's software look and feel going forward as well. Cook said the management changes will "encourage even more collaboration" between the company's hardware and software teams. "We are in one of the most prolific periods of innovation and new products in Apple's history," Cook said in a written statement. Apple made a few other executive changes as well. Apple's widely criticized retail store chief, John Browett, is leaving after just nine months of the job. Since coming over from British electronic store giant Dixons, Browett has had one stumble after another, including slashing the number of workers in stores -- for which Cook also had to apologize. As the company searches for an executive to replace Browett, Cook will personally oversee the retail unit. Apple also announce that Mac hardware guru Bob Mansfield -- who planned last year to retire, but backtracked two months later -- will head a new group called "Technologies." The unit will focus on mobile devices, putting all of Apple's wireless products under one roof. Mansfield will also head the semiconductor teams, "who have ambitious plans for the future," Apple said.